A Deltona, FL couple went to extremes in an attempt to defraud the insurance company that provides coverage for their rental home: They actually shot themselves with a .22 caliber pistol as part of an elaborate story about a home invasion, according to WFTV ABC Channel 9 News. The Volusia County Sheriff’s Office revealed that, on October 26, 2017, deputies responded to the couple’s call regarding two intruders that broke a glass door and shot both of them. The story fell apart as police questioned the pair about the incident; plus, officers discovered that no one was seen entering the home in video surveillance footage. Authorities determined that the two staged the entire crime scene to scam the insurer out of thousands of dollars. Had they been successful in filing a claim and obtaining funds, the couple could have been charged with insurance fraud under Florida and federal law. You obtained an insurance benefit – typically a payment on your claim – as a result of the statements you provided. Note that it is also considered insurance fraud if you make false or misleading statements when applying for insurance coverage. Hard fraud is deliberately faking an accident, injury, crime, or other loss to unlawfully collect funds under an insurance policy. 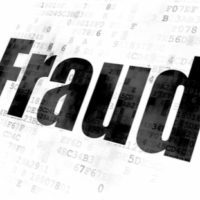 Soft fraud usually involves the so-called “little white lies,” where the underlying incident is true – but offenders embellish the story to maximize the financial benefit. Both hard and soft fraud acts are criminal offenses under Florida law. The degree and sentence for insurance fraud will depend upon the amount procured through the scam. Less than $20,000 = Third Degree Felony. The penalties include up to five years in prison and a $5,000 maximum fine. $20,000 to $99,999 = Second Degree Felony. You can be sentenced to a maximum of 15 years in jail and fined up to $10,000. $100,000 or More = First Degree Felony. Your punishment may be up to 30 years’ incarceration, and a maximum fine of $10,000. If you have a prior history of felony offenses, you may also be designated as a habitual felony offender under Florida law. Your sentence for a second or third degree felony means up to 10 and 30 years in jail, respectively. If you’re facing charges for insurance fraud or other fraud-related offenses, it’s important to speak with an experienced criminal defense attorney right away. Please contact Fort Lauderdale attorney Kevin J. Kulik with questions or to schedule a free consultation about your case.